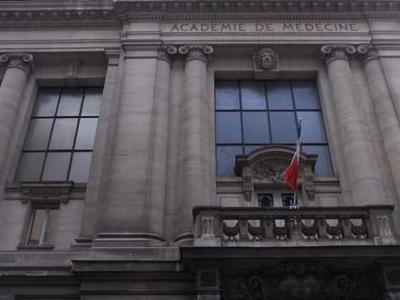 Situated at 16 Rue Bonaparte in the 6th arrondissement of Paris, the Académie Nationale de Médecine, or National Academy of Medicine was created in 1820 by king Louis XVIII at the urging of baron Antoine Portal. 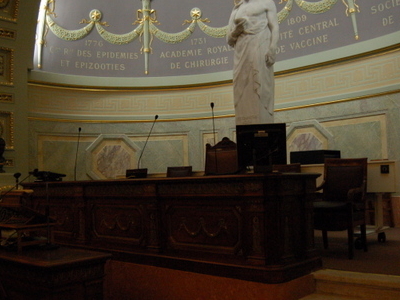 At its inception, the institution was known as the Académie Royale de Médecine (or Royal Academy of Medicine). This academy was endowed with the legal status of two institutions which preceded it - the Académie Royale de Chirurgie (or Royal Academy of Surgery), which was created in 1731 and of the Société Royale de Médecine (or Royal Society of Medicine), which was created in 1776. 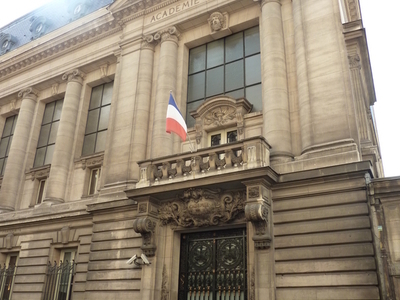 Academy members initially convened at the Paris Faculty of Medicine (or Faculté de Médecine de Paris). Four years later, the Academy acquired its own headquarters, in the form of a mansion at Poitiers, where it was located until 1850. The office was then relocated to a vaulted hall of the The Hospital of Charity on rue Saint Pierre. Here's the our members favorite photos of "Historic Houses in Paris". Upload your photo of Académie Nationale de Médecine!